For the past five years, there’s been a consistent theme to the summer-rental season: Hamptons, or anti-Hamptons? As the East End fell victim to hubris, other destinations—the Catskills, the Hudson Valley—emerged with their own boosters. In contrast to the tepid Hamptons scene, brokers report, there is a flurry of activity everywhere else, from Cape Cod to Cape May. “The season is strong,” declares Nancy Pike of Beach Real Estate on Block Island, who has customers making plans for well into the fall. “We don’t have enough inventory to meet the demand,” says Frank Lumia, owner of a Catskills firm. Ditto for Nantucket—“A lot of places are gone,” says Yvonne Breslin of Nantucket Real Estate—as well as Litchfield County, Connecticut, and almost anywhere billing itself as the anti-Hamptons. There’s one obvious reason for the market shift. “What our customers like is the quiet and the privacy,” says Patty Cullen, who markets rentals in the Catskills, where shabby-chic towns like Andes and Margaretville are especially sought-after. It doesn’t hurt, either, that prices are more grounded than in the South Fork. Owners, though, are beginning to institute Hamptons-like requirements: In tony Litchfield County, for example, where demand is especially high and supply is low, they’re insisting on longer stays. 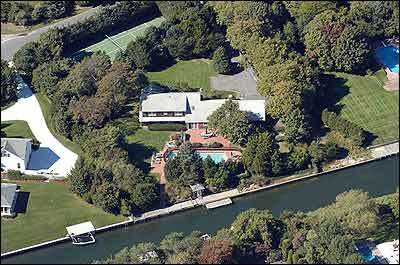 And on exclusive Shelter Island, they want heftier security deposits—as much as 20 percent of the total cost. Even the formerly relaxed Catskills are getting selective, with landlords now asking for references. Mother Nature may also be to blame—at least, hopeful brokers would like to think so. “Thoughts of spring haven’t sprung yet because of the weather,” speculates Brennan. And, of course, there’s sticker shock. At the high end, prices continue to escalate, with many properties inching closer to the six-figure mark. 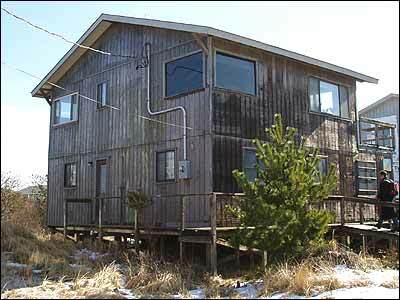 Two weeks ago, an oceanfront estate on Further Lane was snapped up for a record $750,000. Which isn’t to say you can’t get a deal in the Hamptons. Brennan says more houses are available for two-week leases, a previously frowned-upon practice that’s widely accepted elsewhere. Quogue and East Quogue are relatively cheap at $20,000 a month, and Amagansett North and Montauk are also surprisingly reasonable. Or, you could take that money and live in luxury elsewhere, from a Connecticut manse with tennis courts to a turn-of-the-century Berkshire four-bedroom. What follows is a sampling of the best properties, almost all still available, whatever your price range. If any of them appeal, see the last page for broker info. 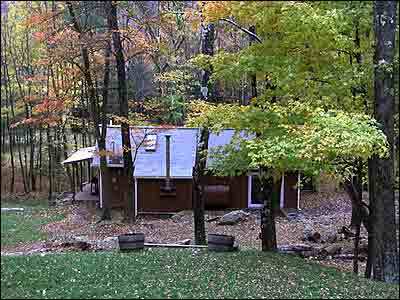 Channel your inner hippie without roughing it at this ultramodern, 1,000-square-foot cabin in the woods. Just a two-hour drive from the city, the rental is a favorite among young couples from the East Village and Park Slope who appreciate the Asian-slate floors, marble bath, and other designer-y touches (pay any less around here and you’ll get that ski-cabin feel). After a day of hiking, rock climbing, or swimming in the natural, spring-fed pools nearby, renters especially like a dip in the claw-foot bathtub, which sits right in the middle of the living room, with views of the surrounding forest. 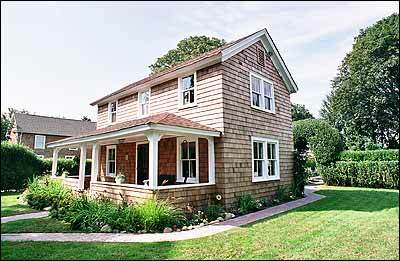 This seven-bedroom rental in the so-called Williamsburg of Fire Island may redeem the much-maligned share house. Chance, as it’s known, seems slightly more expensive than a half-share in the Hamptons, until you realize you get four more weeks for your money here. It’s usually populated by hipsters who want to sink their teeth into “trash-talking” Scrabble games in peace: Be prepared to bunk with housemates from Dumbo, Carroll Gardens, and—yes—Williamsburg. (There’s a bonus: Many of them are foodies.) And, of course, there’s the beach, still unspoiled and just 50 feet away. This five-bedroom turn-of-the-century cottage edges into the upper range for Block Island, but it’s cheaper than comparable rentals in Water Mill or Southampton. Perfect for kayaking and surfing, it’s perched on the edge of the dramatic Mohegan Bluffs, which rise 200 feet above the water—a private staircase leads you to the sandy beach below. When you don’t feel like dipping in the water, lounging on the massive porch, or enjoying the views of Montauk, take advantage of the miles of trails maintained by the Nature Conservancy, or the island’s five named beaches, 365 freshwater ponds, and numerous little coves. Manhattan families used to making do with cramped spaces will find this pricey but pretty four-bedroom, four-and-a-half-bath colonial truly decadent. It’s furnished floor-to-ceiling in antiques (and reproductions) and kid-friendly gear, has a glassed-in sleeping porch that’s great for gazing at the star-speckled nighttime sky, and resides on 29 rambling acres with views of Bear Mountain, the state’s highest point. There’s a tree house and a swing set to sweeten the deal, and if that’s not enough, the town is known for its two freshwater lakes, great day camps, and cute events like the remote-controlled New England Grand Prix. If you missed out on summer camp, make up for it at Camp Cobblestone, a twenty-acre estate on the banks of Spitfire Lake, where blue-blooded families have owned compounds for decades. The price is high for the Adirondacks, but it’s a unique spot, since other “Great Camps” (a designation applied to historic properties of this type) aren’t rented. Accessible only by boat, the camp is totally private, with eleven buildings including a turret-shaped boathouse and stone cottages that serve as sleeping quarters. A caretaker visits daily to keep the firewood stocked, and if you like to hike or bike, there’s a mountain trail. The absolute rock-bottom price for a season in East Hampton. It doesn’t get more basic than this: a modest cottage deep in the working-class hamlet of Springs, where the taxes are the highest and the schools the most crowded. 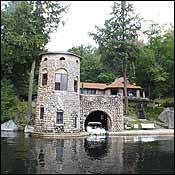 There are two small bedrooms, one serviceable bathroom, and a living room with a fireplace. Keep in mind: There’s a fifteen-minute winding drive along Three Mile Harbor Road to buy a carton of milk at Waldbaums. The best asset? 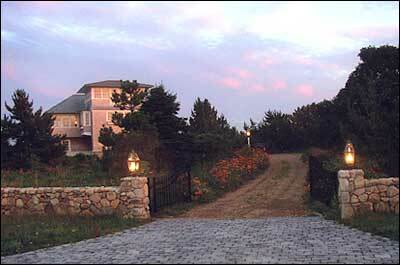 Quiet Folkstone Road, which slopes toward Three Mile Harbor; at dusk, amble down to the water, and watch some of the prettiest sunsets in the Hamptons. Typically priced for the area, this turn-of-the-century converted barn is tailor-made for a large family. Located on five pastoral acres in the heart of rural Dutchess County, it has two master-bedroom suites (one with its own sitting room), another bedroom, and a den, sunroom, and patio. The grounds alone will keep the kids occupied for hours—catch frogs at the pond, explore the woods, walk the private trails, or play on the slide and swing set that take center stage on the enormous back lawn. Midtown Manhattan is a twenty-minute drive to the Amtrak or Metro-North stations plus a 90-minute train ride. 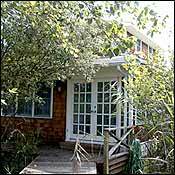 Writerly types in need of inspiration can try working at the desk of forbiddingly experimental novelist William Gaddis, who used to stay at this four-bedroom, two-bathroom renovated house. It’s an average price for Saltaire, one of Fire Island’s more exclusive towns—group rentals are forbidden, and it’s a favorite of celebs like Uma Thurman and Stanley Tucci—and slightly more than you’d pay in Ocean Beach, whose honky-tonk feel is just a water taxi away. Its pristine condition and location just a block from the beach make this a popular listing; pay $500 to join the yacht club and you can sail to your heart’s content. Country clubs be damned: This getaway in the historic Ellsworth neighborhood of this exclusive town has everything you need for a month of R and R, starting with a 56-foot-long heated pool and a tennis court. It’s in the mid-to-high range for the area, appropriately so: There’s room to roam—two manicured acres—and entertain—four bedrooms in the main house and a guest apartment to handle any overflow. 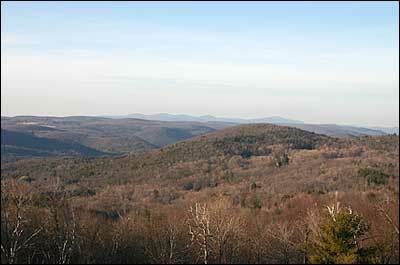 If you must seek entertainment elsewhere, the Berkshires are just 20 minutes away. 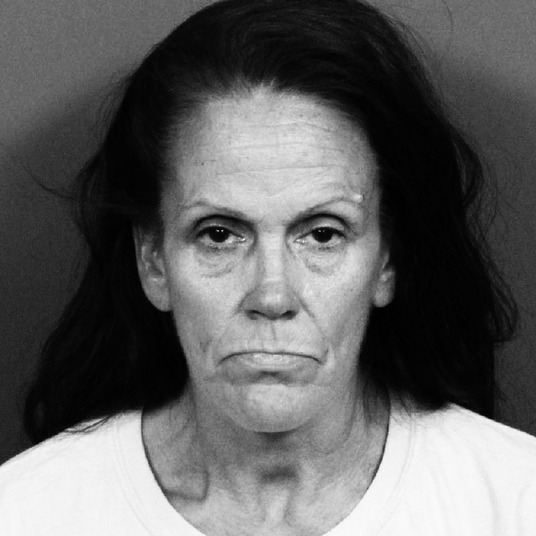 Another perk (maybe): You’ll be within six degrees of Kevin Bacon, who summers here. It’s easy to waste weeks doing nothing but relaxing amid the lazy meadows, postcard mountain views, and sleepy lakes of the Berkshires. 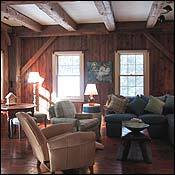 The artsy village where this circa-1850 post-and-beam barn is located should entice anyone onto their feet, though—it’s close to festivals and arts institutions like Tanglewood, Jacob’s Pillow, and Shakespeare & Company. The original plank floors are still in place, but it’s hardly rustic; there’s central air and a high-speed Internet connection. Mid-to-high range for the area, this is comparable to the best houses on Cape Cod. This four-bedroom house overlooking Nantucket Harbor is relatively affordable, given that prices on the island go as high as $180,000 a month. It has five bathrooms, a gourmet kitchen, and a gym, and, of course, you can watch the yachts shimmy into port. There are plenty of outdoor activities on the island, including biking, hiking, and windsurfing, but many of the celebs—like Tommy Hilfiger and Tim Russert—who swell its population from approximately 9,000 to 50,000 in summertime are content to do nothing but eat lobster and relax on the languorous beaches. The entire town of Cape May is landmarked, which may explain why it’s not marred by the beer-soaked, frat-party vibe typical of the Jersey Shore. Peppered with stately Victorians and quaint cottages, it’s decidedly kitschy, but in an appealing, apple-pie way. This seven-room mansion is typically priced, and Civil War buffs will enjoy bunking in a place once owned by Yankee hero Henry Sawyer, who built the legendary Chalfonte Hotel across the street in 1876. (The house isn’t completely traditional—it’s got A/C and DVD players.) White beaches are just three blocks away. For purists who miss the good old days when the Hamptons were quaintly, adorably agricultural, there’s the low-key neighbor, Shelter Island (the ferry pushes off from North Haven and Greenport, Long Island). This lavish, airy four-bedroom mansion is in the upper range, but you get bamboo floors, cathedral ceilings, and views of Gardiner’s Bay; there’s even a heated outdoor pool overlooking the water. It’s all in keeping with the island’s “beachy but elegant” vibe, which mixes fried-clams-on-paper-plates dining at Two Eds with invitation-only golfing at Gardiner’s Bay Country Club. Perfect for urbanites wanting to play country squire, this is at the high end even for Litchfield County, with far more space and amenities than the norm. The 92-acre property consists of a 3,600-square-foot main house, a two-bedroom guest house (for your staff, perhaps), a gunite pool, a pond—and, for equestrians, 40 acres of pasture. For privacy freaks, the driveway alone is nearly half a mile long, and there’s even beach access to nearby Lake Waramaug. If you do leave the grounds, you can attend the Litchfield Jazz Festival or stock up on treats at Belgique Patisserie & Chocolatier. 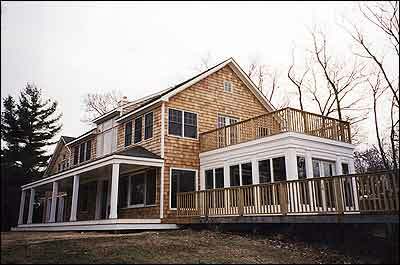 Technically, this clubby little hamlet, ten miles west of the Shinnecock Canal, isn’t even in the Hamptons, but that’s why you get double the value; a fully tricked-out house like this would cost $100,000 farther east. There are five bedrooms, four baths, two fireplaces, a boat dock with floaters for kayaks, an outdoor Jacuzzi, a heated gunite pool with waterfall, and a tennis court. No trendy restaurants, no gourmet food shops with attitude—not even a town, per se, except for a post office. But you save as much as an hour on the commute, because it avoids the bottleneck on Route 27. The meticulously renovated house and cottage with a total of three bedrooms have everything their real-estate broker-owner has ever been asked for by renters. In particular, multiple entertaining areas—a breakfast patio, a gazebo next to the gunite pool, a covered porch for afternoon tea, and a pergola with a blue-stone patio for barbecues at sundown (such amenities justify the slightly higher-than-average price). 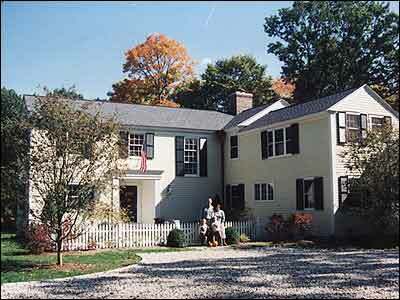 Don’t expect to join the Southampton Association—the house is a little too hard by the railroad tracks for that. But it’s got that Southampton Village feel. For those who want the beach and the mansion and don’t mind paying for both of them. 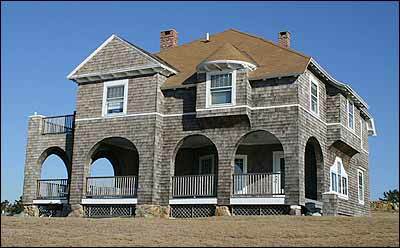 There aren’t a lot of houses this size to rent on Martha’s Vineyard, and this one is bigger than most at this price point. There’s a master suite, a library, and a great room, as well as three themed guest rooms and a third-floor “nest” with a 360-degree view of Edgartown Harbor, Chappaquiddick Island, and the Atlantic Ocean. The white sands of South Beach are a fifteen-minute drive away, as is Bill Clinton’s favorite golf course, Farm Neck Club. The most expensive rental in the North Fork this season is still a fraction of the price a property this impressive would fetch in the Hamptons. 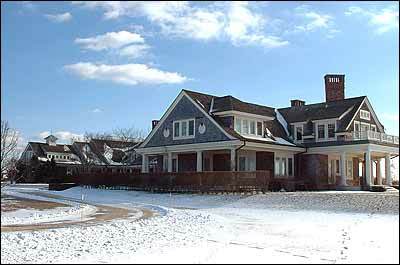 The three-bedroom main house, built in 1912 and renovated in the nineties, is located on four and a half acres on the tip of Nassau Point in Cutchogue, the most exclusive neighborhood in the area. “You see water from every single room,” says Corcoran broker Sheri Winter Clarry. 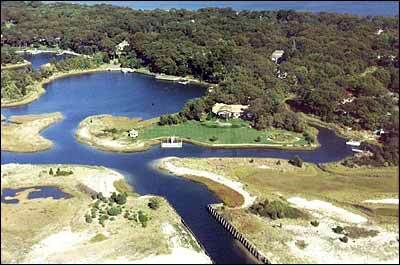 Spend the mornings kayaking across placid Wunneweta Creek to reach your private beach, or sail your 50-footer on the Peconic in the afternoons. Far, far from the madding crowd, this pricey but extremely tasteful four-bedroom contemporary house is nestled on the nub of Barcelona Point, a 342-acre reserve surrounded by salt marshes, egrets, and pebble beaches. That’s probably what attracted renters like Sarah Jessica Parker and Matthew Broderick, Edgar Bronfman Jr., and Jann Wenner. 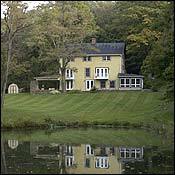 Owned by oil heiress Christophe de Menil, the house has a heated pool protected by low hedgerows. 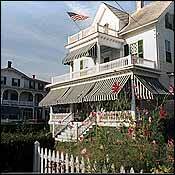 If you’re lonesome, amble a few miles along the beach to Sag Harbor and get a Bloody Mary at the American Hotel. For the last two weeks of July, you too can live like a Goldman Sachs partner in this scorchingly expensive but achingly beautiful 20,000-square-foot oceanfront estate with two houses, a full gym in a separate building, a 60-foot heated gunite pool, and a tennis court. Two weeks is probably just enough time to count the thirteen bedrooms in total, multiple patios, decks, entertaining rooms, and French doors and balconies that overlook both the ocean and Sag Pond. (Don’t forget to bring the mosquito repellent.) 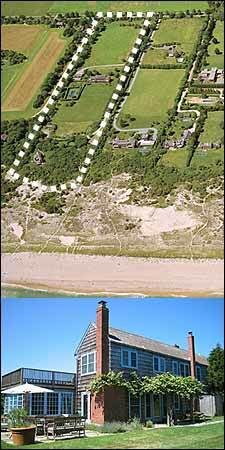 Set out on a 33.7-acre parcel and reserve, this McMansion is one of the most visible houses in the Hamptons. The most expensive rental in Hamptons history—and why it’s a good deal. This Further Lane estate was just rented at $750,000 for twelve months by an unnamed client, making it the highest-priced summer rental in Hamptons history. It’s owned by Taya Thurman, the older half-sister of actress Uma. Name-dropping perks include the heiress mother, daughter, and movie-star half-sister; former renter Sting; and the architect of the main house, Kate Gormley. Built in the late eighties, the two-story main house is a beautiful but bleak reinterpretation of the classic East Hampton gray clapboard. It has six bedrooms, six and a half baths, four fireplaces, a kitchen, a library, a kids’ playroom in the basement, and central air-conditioning. The main architectural statement is a double-height master suite with a cathedral ceiling and an ocean-view balcony. Décor is summery and subtle, with cheery area rugs, sisal-covered floors, and overstuffed furniture with canvas and chintz slipcovers. The 14.5-acre parcel with 342 feet of oceanfront and private beach access is one of the last plots to run uninterrupted from lane to beach. Except for a small balcony off the master suite, you can’t see the ocean from the main house. The separate beach house, as it’s known—there are four bedrooms, five baths, and a library—is, according to one broker who’s been inside, “a tear-down. It’s old and funky and smelly and full of mildew.” Perhaps that’s because there’s no central air—a must during the humid summer—and although the house has heat, it’s not well insulated, making it nearly uninhabitable in the winter months. The 18-by-60-foot gunite pool is surrounded by a privacy hedge and outfitted with teak chaises and navy cushions. 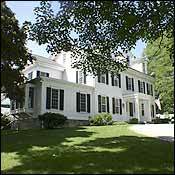 The main house was originally listed for $400,000 for the season, and the beach house for $100,000. Brokers believe the beach house alone is worth $150,000 (lack of a pool and A/C brings the price down), and that the main house is well priced. At those rates, $250,000 for the other nine months seems like a bargain. Consider Richard LeFrak’s 6,000-square-foot mansion on five acres on Squabble Lane in Southampton Village with a five-minute hike to the beach, asking $350,000 for the year, or “Baby” Jane Holzer’s charmless Southampton Village pad—$450,000 for a six-bedroom wooden beach house with only 1,700 square feet on less than two acres. The Everything Guide to: Summer RentalsBroker contact information for all the featured properties.